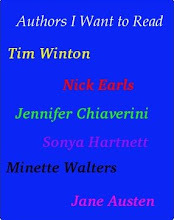 From Goodreads: Surviving Year Zero is the story of one young man, yet it is the story of millions of people. It tells of how Sovannora Ieng lived through the genocide that tore at the heart of Cambodia in the 1970s. Sovannora survived in an environment where survival was barely possible. He and his family experienced starvation, backbreaking labour and constant surveillance. They learnt to be silent in a world where a casual remark could be turned into a sentence of death. 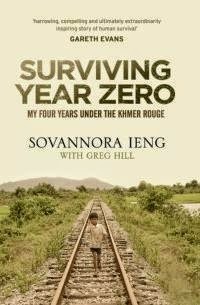 Sovannora’s experiences under the Khmer Rouge remind us of the terrible things that we humans have done to each other, and his eventual escape to Australia is a testament to his resilience and ingenuity in the face of constant danger. Sovannora Ieng escaped from Cambodia to Thailand as a refugee before migrating to Australia. Thoughts: I admire people who have survived such atrocities as the Khmer Rouge and are able to do something like write a book to make sure the rest of us know what happened. Admire is not quite the right word, but the best I can come up with at the moment. Sovannora tells us of life in Cambodia between 1975 and 1979. His story is not easy to read at times, heartbreaking and appalling at what happened and what it takes to survive. Even when Year Zero ended you realise that sometimes the liberators can make life just as difficult. If there is a place where Surviving Year Zero falls down, it's where many books like this do - the author, either because they are an amateur writer or have English as a second language, is unable to fully use the language to convey they true nature of the events that take place. It's almost looking like a slightly out of focus picture, you get the general idea, but the details are lost. In these times of much debate and argument over refugees in Australia, this is a book to remind us of what some people in the world are being forced to endure and the lengths they will go to survive. It should also serve to remind us of our obligations as people of privilege, who do not live in fear of our government and of speaking out, to those who are not afforded those rights. Surviving Year Zero gets 3 stars. Did you know Little Black Marks is on Facebook? I'd love for you to join us! Click on the link and like my page. Thanks.